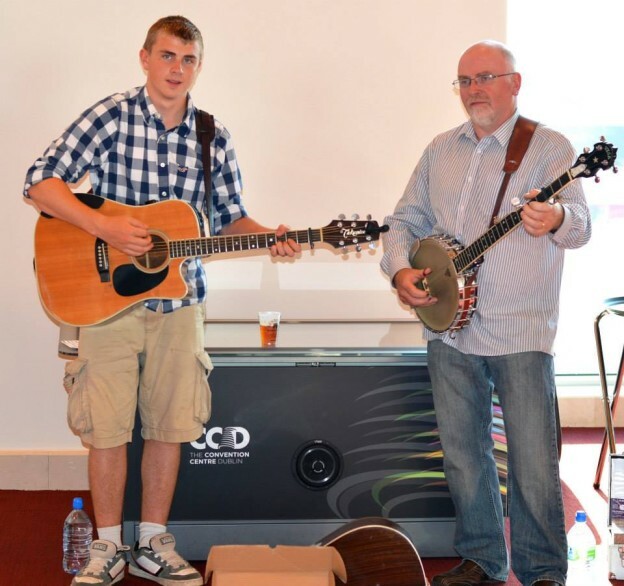 The Earl Scruggs Center will be hosting Pat Kelleher, from Dripsey, County Cork, a well-known folk singer and song writer on June 25th from 1:00-2:00 PM. Pat will be performing a repertoire of folk songs and music from his native country, Ireland, and other English speaking countries. The performance will include love songs, peace songs, drinking songs, sea songs, jovial songs and sing-alongs with historical references and explanations. A five string banjo player, proficient in the claw hammer, folk, and bluegrass styles, he has performed the folk circuit for over thirty years in Ireland, the United Kingdom, Germany and the United States. Pat has shared the stage with some of the greats such as Tommy Makem, Bobby and Finbar Clancy and has been largely influenced by musicians like Luke Kelly, Earl Scruggs, Pete Seeger, and Ken Perlman. Pat, accompanied by his son, Ricky, is renowned for close blood harmonies and tight musical arrangements. Reserve Your Seat Today! Reservation Invalid Without the Purchase of Admission Ticket. Visit Guest Services Before the Event to Purchase Ticket. Member Call to Register. Posted on Wednesday, June 10, 2015 .